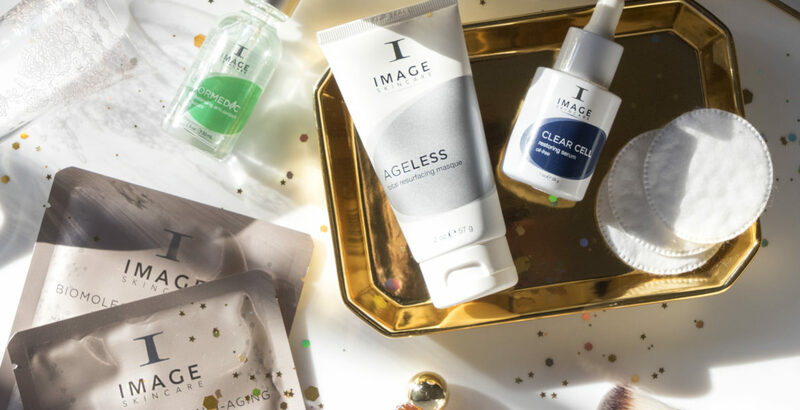 If your skin hasn’t been able to keep up with all your holiday spirit, you’re not alone! The end-of-year period can cause your complexion to get rough or lackluster thanks to the sheer amount of hectic activity, processed food, long-haul travel and lack of sleep. Fortunately, we have fast-track solutions for some of the most common pesky post-holiday skin issues. Read on to get your glow back on. Take a moment to yourself in the evening to apply this remarkable sheet mask that traps moisture with its special 3D design and helps potent active ingredients penetrate deeply into skin. With a refreshing and comforting hydrogel technology, this mask infuses volcanic water, brightening botanicals, peptides and antioxidants to reinstate your skin’s most relaxed, plumped-up look, while increasing hydration, reducing fine lines and wrinkles, brightening and rejuvenating skin. Result: Hydrated, uplifted and glowing skin that looks alive and radiant. This micro-exfoliating masque features powerful alpha hydroxy acids that resurfaces and refines skin by gently sloughing off dead skin cells, clearing out pores and polishing skin without irritation. It’s like having a mini spa-like peel right at home! A blend of glycolic, lactic and salicylic acids tackles impurities and excess particulates while vitamin C helps brighten, reduce the appearance of dark spots and strengthen skin. Result: A clarified, smoother and even-toned complexion. Restore balance to your skin with this ultra-hydrating serum that brings back the equilibrium to your complexion. This luxuriously silky formula contains lactic acid to moisturize and refine skin, and with organic Japanese green tea, polyphenols and a copper-complex peptide to reclaim your healthy, dewy glow. Layer under your regular moisturizer or sunscreen for a revitalizing boost. Result: Healthy-looking, bouncy skin without dryness or flakiness. Whether you need to address an anomalous pimple or feel like you’re popping up with blemishes more often than usual, you can use this lightweight serum to help rebalance oily skin without dryness. This oil-free formula helps restore balance while providing a mattifying effect and minimizing the appearance of pores. Aloe and allantoin help calm skin so your winter skin woes aren’t exacerbated. Use this as a spot treatment on areas that tend to pop up with breakouts and moisturize over it for added protection against winter temps. Result: Clean, moisturized skin with clear pores. Your Skin’s Health Is Image Deep!